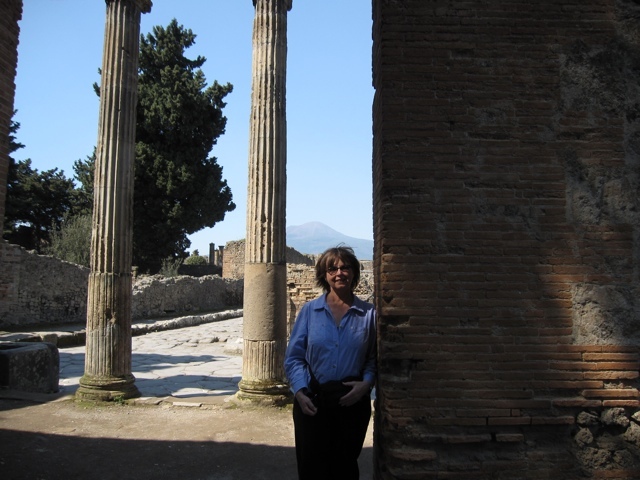 Post by Wynette: We went to Pompeii early in our trip but just now getting around to blogging about it. I wanted to post a few pictures. 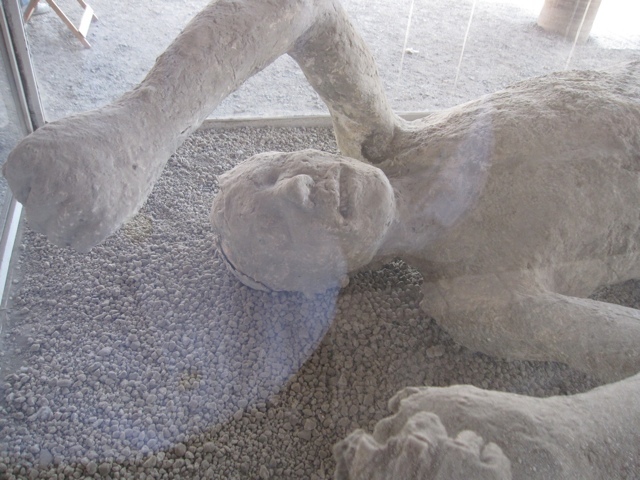 The city was buried by volcanic ash and lava when Mount Vesuvius erupted 2000 years ago. They found hollow spaces where people had died and decayed, leaving the shape of their bodies just as they were when they were caught in the lava. Here is a plaster cast that was made from the hollow area the body left behind. 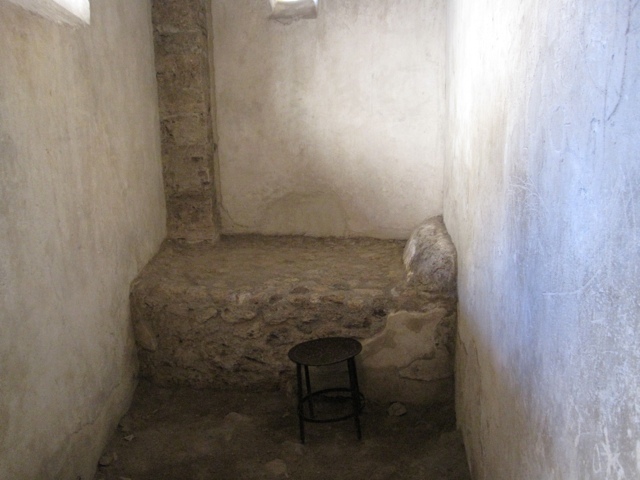 This is one of the baths. 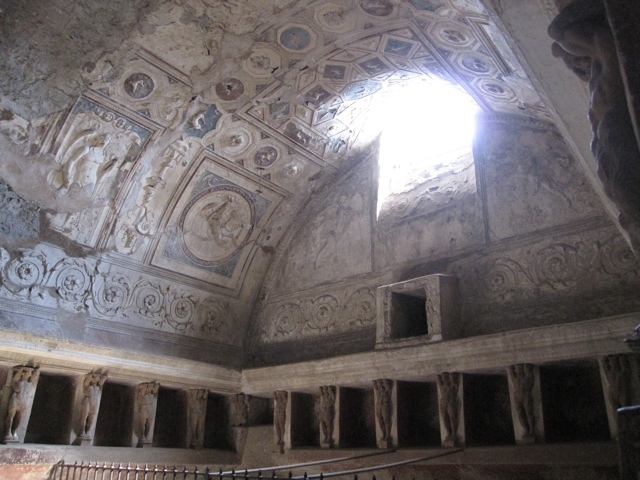 There were some places where frescos are still preserved. 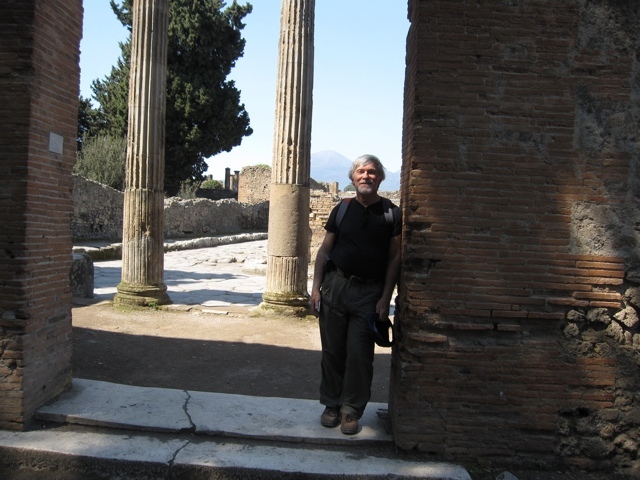 Pompei was a grand beautiful place before the volcano. Here I am with Mt. Vesuvius in the background. And here is Charlie, same spot. 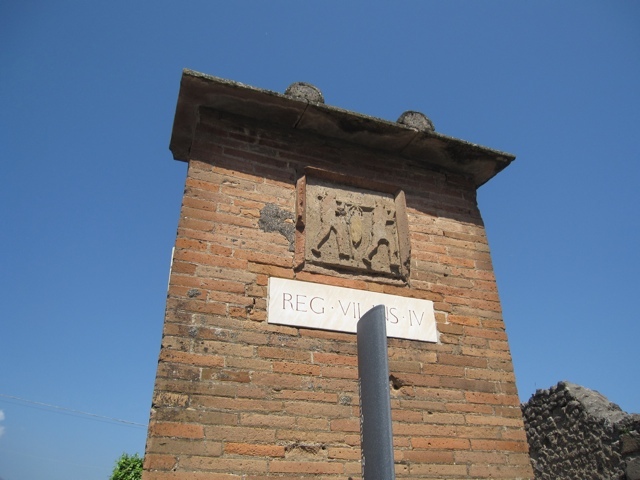 One of the guide books said to trace a triangle up from the two bumps on Vesuvius so they are joined and that is how high it was before it exploded. I wish I’d gotten a picture of the roads. You’d see lots of deep ruts made by the chariots. Charlie said he’d read that the chariots had a standard width between the wheels so they’d all fit in the ruts. And when trains arrived in Europe hundreds of years later the engineers made the tracks a standard width, the same as the width between the chariot wheels.